Gigi Hadid shows us what it takes to be a four letter wonder in “Gigi” by Rankin for Dazed Digital, 25th Anniversary Issue, F/W 2016. She might look like an innocent flower, but, behind those bright eyes we see the mischievous markings of a good girl gone bad. Hadid does some serious damage by taking over the (old) Dazed office, smashing computers and going graffiti-chic. Katie Grand’s fashion choices capture a magical vibe, with frocks that mimic a modern fairytale. Kasia Struss & Adela Stenberg stare with artful intent in “C’est quoi un bon penchant?” by Suzie Q & Leo Siboni for Stylist Magazine France, September 2016. Eye to Eye I’ll Draw You In… energy echoes the surrounding light bouncing back as we fare the fight. A battle that’s waged deep within, for where we lay our hearts is where we will win. Art is like a loop of never-ending emotions, linked up in lunacy. Adwoa Aboah asks the brave question “who run the world?” by Harley Weir, Inez van Lamsweerde & Letty Schmiterlow for i-D’s, Female Gaze Issue, Fall ’16. Each story brings a unique perspective with style points that, “focus on brilliant women enriching fashion, art and culture of today.” Shot in Franklin Canyon Park, Weir’s Female Gaze Cover brings one of the most in-demand photographers working today. Guinevere Van Seenus lets her inner animal out by Brianna Capozzi for Interview Germany, 09/16. Guinevere gets into her animal like stance in this story that celebrates our primitive passions. Primal in nature each image invites us to explore our inner selves. The ferocity of this piece projects our instinct to be “Alpha,” while expressing our longing to be free. That’s not to say every answers lies in the physical realm, in fact, most reliable controversies are killed by our intellectual pursuits. Stone Shows Sensual Side of Summer "Luxury is Love"
Lara Stone shows us the sensual side of summer in “Luxury is Love” shot by Sebastian Faena for The Daily Summer Issue, August 2016. Faena lets us take a ride through his mind as he explores the idea of Luxury. Sofia Achaval de Montaigu invites the intimacy of Stone’s elegance by utilizing the artistry of her body. Each shot celebrates the sensuality of summer, with styles that capture the curves of her form. Aline Weber sizzles the senses in “Spellbound” by Gilles Bensimon for Maxim Magazine, August ’16. Triumphant beauty deigns to become as all things go wicked in the light of the sun. Her hypnotic stare says it all, but it’s really the luxe of her spellbinding lure that magnifies the senses. Not for the faint of heart, this is one fearsome female you don’t wanna cross. Evoking a presence that cannot be denied. 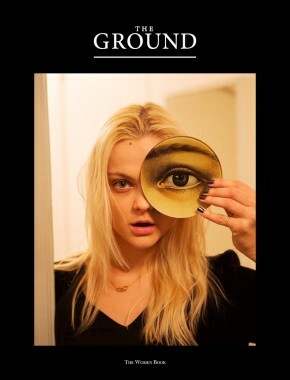 Viktoriya Sasonkina catches our eye, as one of the brave cover choices in “The Women Book” shot by Ryan Yoon for The GROUND, SS 2016. Art incites the insatiable need to feed… as creativity courses through her veins she explores the many avenues of possibility. Inwardly focused, one gets the sense that this is a girl always on life’s edge. Excuse the obtuse reference, but, sometimes the best way to describe someone is just to say what you see. 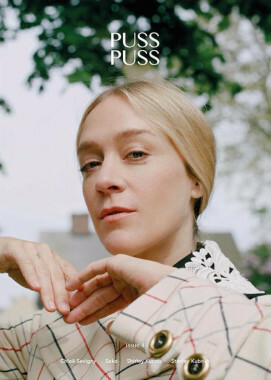 Making her Directorial Debut, Chloë Sevigny brings to screen the concept of a girl transformed, by Amber Byrne Mahoney for Puss Puss #4. Turning into a “Kitty” may be the crux of this short film, but Paul Bowles short story rests on idea of “magical realism.” A look into what makes a young girl tick, this tale celebrates the raw beauty of growth interrupted. Alison Marie Isbell brings the essence of this amazing actress to life with unique fashions that speak her language. 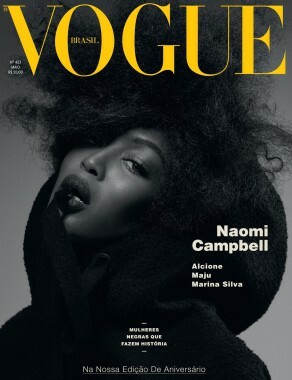 Campbell Casts a Spell in the "Black Issue"
Naomi Campbell casts a dramatic spell in the “Black Issue“ by Gui Paganini for Vogue Brazil, May 2016. Celebrating 30 years in the industry, this triumphant model proves that time is not her enemy. The ruminations of the past meet the forward motion of the future, as each picture projects the power of now. 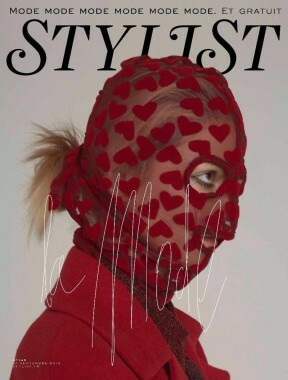 Yasmine Estera slinks through a series of high styles by Miu Miu, Gucci, Hugo Boss & Giorgio Armani. Lexi Boling, Katie Moore, Vittoria Ceretti, Taylor Hill, Charlee Fraser, Estella Boersma & Alice Metza indulge in the art of experimental fashion by Roe Ethridge for Document Journal, SS 2016. The opposing atmosphere lends itself to the parallel nature of each piece, as designs exude dynamic presence, invoking a mutiny of miss-matched elements. Robbie Spencer uses his unique ability to rise above the average, allowing us to see modern style in a new way. Stella Tennant is blown out and beautiful by Willy Vanderperre shot for Document Journal, SS 2016. Standing in the silhouette of Stella a thespian comes forth, through the cloud of creation a modern woman is born. Balenciaga by Demna Gvasalia delivers a conceptual take on the idea of bold, with a fitted jacket that flairs out as it feels. Stylist, Olivier Rizzo, celebrates the season of change with pieces that bring ferocity forward, as fashion follows the lead with looks that entice while they inspire. Anna Ewers brings a moody blue mix of art and evolution in “Season of the Witch” by Paolo Roversi for Dazed, SS 2016. “Power/Protest” remind us that we all own a right to respond, both internally and externally, to the world’s earthly insistence. I Set My Sight on the Rhythm of the Night as I Cast My Calling in the Dawn of Delight. To Feel the Fire to Stand Up and Fight, the Moon is My Hero as I walk in it’s Light.